This great vegetable oil is one of the most used carrier oils in aromatherapy massage, and this is understandable since it has a fine texture, is easily absorbed, and helps to leave the skin soft and satiny smooth yet it is non-greasy and easily absorbed. It is further a great moisturizer suitable for all skin types, helps relieve irritation, inflammation and itching, and is greatly lubricating and because it is not an overly fast penetrating oil, it is a good massage medium to use to help spread the oil and essential oil mixture, while still allowing you time to do a good massage before it is absorbed by the skin. Not only does almond oil help protect the surface of the skin, but has great value to act as an emollient, skin soother and softener while conditioning the skin and promoting a clear young looking complexion, also helps to relieve muscular aches and pains. It has a rich concentration of oleic and linoleic essential fatty acids, and although mostly used on its own as a massage carrier oil, it also works well by diluting with 10% wheatgerm oil to help give it a longer shelf life. 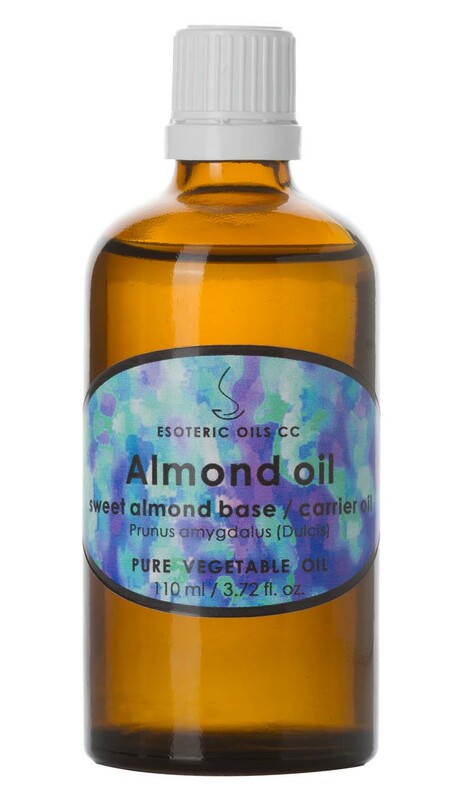 Erucic C22:1 0.1 % max n. d.
Almond oil is suitable for all skin types but is especially good for dry or irritated skin.